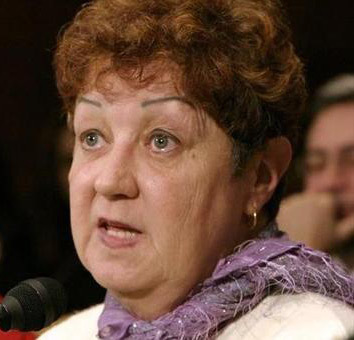 Norma McCorvey, better known as Jane Roe in the infamous Roe v. Wade decision, passed away on Saturday from heart failure at age 69. Though she will forever be known by the Supreme Court case that bears her name, after years of personal struggles, Norma dedicated the rest of her life to overturning Roe v. Wade. Norma had an unstable childhood. She grew up in a broken home with an alcoholic mother. At just 16 she married Woody McCorvey and gave birth to her first child quickly after that. Not long into her marriage she left her husband after he began to abuse her. In 1969 Norma found herself pregnant for the third time. At her age and situation, Norma knew she could not provide a stable household for her child, and so she sought an abortion. Texas law, however, protected unborn children in law. Someone told Norma about a young, ambitious lawyer named Sarah Weddington who was looking for pregnant women to serve as plaintiffs in abortion cases. Norma was the perfect candidate for the young lawyer: she was a young single mom, she had one child being raised by her estranged mother, she had given her second child up for adoption and was now expecting a third child. Her young life had been overrun with drug addiction and alcohol abuse. Despite this, Norma said she made up a story about being raped to further defend getting an abortion. While her case was making its way to the U.S. Supreme Court, in 1970 Norma gave birth to a healthy baby girl who was adopted by a family in Texas. Norma never had an abortion. Rather than abortion being the end, Norma's daughter's story likely continues today, maybe even with children of her own. Norma's daughter is oblivious to the fact that her life was the subject of a unjust decision which has led to the deaths of 57 million other unborn children. On January 22, 1973, Roe v. Wade and Doe v. Bolton were decided and abortion-on-demand was forced on all 50 states (the Doe of Doe v. Bolton, Sandra Cano, also vocally opposed abortion until her death in 2014). Sarah Weddington had won her case using the story of Norma McCorvey’s hardships. A few years after the decision Norma came out as the face of "Roe." She attended pro-abortion marches and even began working at an abortion clinic herself. It wasn’t until 1994 when the prolife protest group Operation Rescue moved in to the building next to her abortion clinic that Norma's life changed course. The story of how she came to see abortion for what it truly was is told in an autobiographical book, Won By Love. After those years of personal struggles Norma became vocally and actively prolife. She converted to Christianity and then joined the Catholic Church 1998. She testified to Congress that she was going to dedicate her life to overturning the decision that bears her name. Both her and Sandra Cano asked the U.S. Supreme Court to rehear Roe v. Wade and Doe v. Bolton, but tragically the justices had no need for their stories anymore after using them to achieve their intended desires. Norma’s story is one that a lot of people sympathize with: a young addict with a rough upbringing, unable to provide for herself. When she went to look for an abortion, what she was really looking for was help. If someone would have been willing to interject and help her, rather than send her to ambitious pro-abortion lawyers, how different would Norma's life had been? How different would the life of millions of women have been if they were offered something more meaningful than a trip to an assembly-line abortion clinic? "I put on my sunglasses so Emily and Chelsey couldn't see the tears welling up in my eyes. What happened? It was the first time abortion had been personalized for me. I no longer saw abortion as a convenient way of dealing with 'products of conception' or 'missed periods.' Instead abortion represented the 'legal right' to end the life of a child as precious as Emily. This beautiful girl could have been killed without penalty, I thought—and it was all my fault." Without Norma, those seven judges would have found another Jane Roe. Norma's story is that a young, misguided woman looking for help was used as a pawn in the biggest court case in the history of our country. Her story mirrors the tens of millions of women who have since been sold abortions from revolving-door "clinics." Let the story of "Jane Roe" inspire you to help women in a crisis pregnancy. Let it inspire you to see the value in every life and every child. Just as it did for Miss Norma. R.I.P. Yesterday the U.S. House of Representatives voted 230-188 on House Joint Resolution 43, which would nullify a last-minute regulation created in the final days of President Obama’s tenure. This regulation prevented states from redirecting their Title X funds away from Planned Parenthood and other abortion clinics, making states unable to defund Planned Parenthood. This last minute rule change poses a huge problem; many states had already elected to redirect their Title X funding to different health clinics throughout their respective states. Every state and community has different needs, and many states and communities do not want their tax dollars going to Planned Parenthood or other clinics that perform abortions. The resolution the U.S. House approved would allow states to make their own decisions. The $300 million in funding for Title X comes from the federal government and Medicaid. Like Medicaid Title X is jointly administered by states and the federal government. It was enacted in 1970 by President Richard Nixon, before Roe v. Wade and Doe v. Bolton were decided in 1973. The program is designed to provide several services to low-income women including birth control, sexually-transmitted disease tests, cancer screenings, pregnancy tests, etc. For every Planned Parenthood office in America there are 20-times the number of community health centers that provide those services, and some offer services that Planned Parenthood does not like mammograms. This resolution is now headed to the Senate for a vote. Please contact our Michigan Senators, Gary Peters and Debbie Stabenow, and tell them: "Please vote YES on H.J. Res. 43 to rescind the Obama rule preventing states from redirecting Title X funds away from groups like Planned Parenthood." In the closing days of the Obama Administration pro-abortion regulators created a rule that stops states from defunding Planned Parenthood. The U.S. House will vote on a House joint resolution (H.J. Res.) Thursday to rescind this rule. Please call your representatives now and send them this message: "Please vote YES on H.J. Res. 43 to rescind the Obama rule preventing states from redirecting Title X funds away from groups like Planned Parenthood." Similar to Medicaid, Title X (Title 10) family planning funding is jointly administered by states. Several states have sought to prevent Title X funding from going to Planned Parenthood and other abortion clinics. They passed rules to redirect the money to uncontroversial clinics. As a staunch servant of the abortion industry, President Obama sought to stop these states. Obama's rule change took effect on January 18, with two days left in his presidency. When originally crafting the rule, he expected Hillary Clinton to be the abortion-friendly president administering it. H.J. Res. 43 is one among several efforts to end taxpayer funding of the abortion industry. On January 23, President Trump re-enacted the Mexico City Policy. On January 24, the U.S. House passed the No Taxpayer Funding for Abortion Act. Efforts to repeal Obamacare and defund Planned Parenthood continue to be planned. During the Obama Administration prolife people had few opportunities to lobby Congress on legislation. During the Trump Administration you will have many opportunities to lobby in favor of meaningful prolife legislation. Thank you for your continued efforts to speak out in defense of unborn children! Michigan’s own, President Gerald Ford was the first president to federally recognize Black History Month as part of the United States Bicentennial in 1976. Originally it was celebrated as Black History week, always around February 12, Abraham Lincoln’s birthday. This annual observance serves as a time to remember the important people and events in history that Black people have contributed to. We can't overlook the darker part of history in the United States for Black Americans. We all know about the horrific events of slavery and the civil rights movement. But there is still a great injustice in our midst, one that leads to the loss of 900 Black babies every day. Abortion has taken more Black American lives than every other cause of death combined since 1973. Totaling over 19 million, abortion has taken more Black lives than violent crime, car accidents, cancer, heart disease and AIDS combined. Throughout the history of abortion there has been a disparate number of black abortions happening in the United States. The Guttmacher Institute reports 926,200 abortions in the U.S. in 2014. According to the most recent CDC data, 35.6 percent of abortions are done on Black women. Only 12.6 percent of the U.S population is Black. These numbers show that Black communities are the targets for the abortion industry. The current population in the city of Detroit is 688,701. There were an estimated 329,727 abortions done on Black women in 2014. That's almost half of the population of Detroit. The numbers only get worse when you look at Michigan. Black women make up only about 14% of Michigan's female population, yet they had 49.7% of all abortions recorded in the state in 2015. Black women had 12,925 of 27,151 total reported abortions in Michigan in 2015. These statistics show an alarming fact, one that rarely is addressed in the public square. With almost half of the abortions in Michigan coming from Black women, we need to help educate women on their options. Abortion-on-demand is being taught to these women as a normal part of life. This Black History Month, lets stand up for all black women and men, born and unborn. Last night President Donald Trump nominated Judge Neil Gorsuch to fill the U.S. Supreme Court vacancy created by the death of Antonin Scalia. 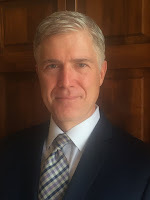 Judge Neil Gorsuch currently serves on the U.S. 10th Circuit Court. That appointment drew unanimous support from the U.S. Senate. Gorsuch has degrees from Columbia, Harvard, and Oxford. He teaches antitrust law and legal ethics at the University of Colorado. He is highly regarded by the legal community. Right to Life of Michigan is calling on U.S. Senators Debbie Stabenow and Gary Peters to allow an up-or-down vote for Supreme Court nominee Judge Neil Gorsuch. President Obama nominated Merrick Garland to replace Antonin Scalia just before the 2016 election. The Republican majority in the U.S. Senate opted to let the voters decide the nomination through the election results. Voters kept Republican control of the Senate and elected President Donald Trump. Judge Gorsuch has been compared favorably with Antonin Scalia by many, both in judicial philosophy and writing style. During his acceptance speech on January 31, Gorsuch mirrored Scalia in pointing out that judges should follow the rule of law. Voters and their representatives write the laws, not judges using their personal bias. Gorsuch has had several rulings dealing with prolife issues. He ruled in favor of Hobby Lobby and the Little Sisters of the Poor, two cases involving the Obamacare HHS Mandate. He dissented against attempts by other judges to block Utah from defunding Planned Parenthood. He has also authored a book on the ethics of doctor-prescribed suicide and euthanasia. Listing said, “President Trump fulfilled one of his biggest campaign promises in nominating a judge in the mold of Antonin Scalia. We need more judges who will respect the will of voters and their representatives rather than making it up as they go."